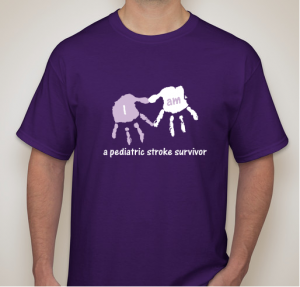 The awareness shirt campaign closed on 3/20/15 and your shirts will be shipped in April. If you have questions about your order, please contact booster.com. Thanks for your AWESOME support of this CHASA awareness campaign. Wear those shirts with pride! IT IS TIME FOR Pediatric Stroke Awareness and Hemiplegia Awareness shirts in six different designs. Click here to order. (1). There are SIX different designs this year – so check them all out before you order! (2). All designs are available in short-sleeve and long sleeve styles. Size Youth Extra Small – Adult 4X (5X in the long-sleeve). (3). They do not offer toddler sizes anymore – but the Youth Extra Small is listed as a size 2-4. (4). These are unisex shirts – if you want more of a ladies fit , they suggest going to the Youth medium – XL sizes. They have a nice sizing chart with pictures of women wearing the youth sizes. (5). The shirts will be printed all at once when the campaign closes on March 20. Estimated arrival for shirts now is April 3 I will update you if that changes. (6). The affected side is the hemi side…. 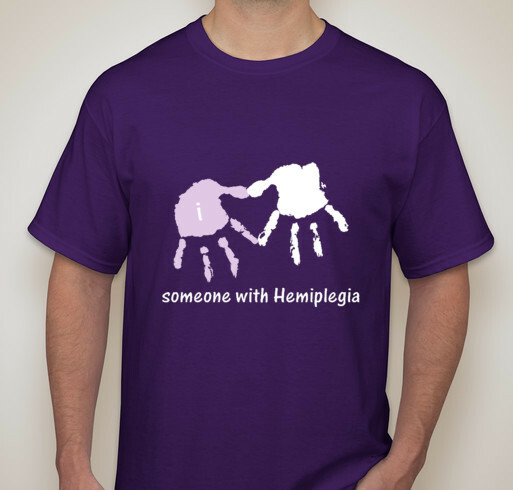 However, there is nothing on the shirts which say Right Hemi or Left hemi — so if it doesn’t apply or you want the opposite hand to be purple – it is up to you! (7). All money raised goes directly to CHASA!! Share the link on your timeline with family and friends! (8). Any issues related to a specific order or payment need to be resolved by contacting Booster directly. Order them for your family, friends, therapists and doctors!